Priscillas: It's Pumpkin Picking Day! 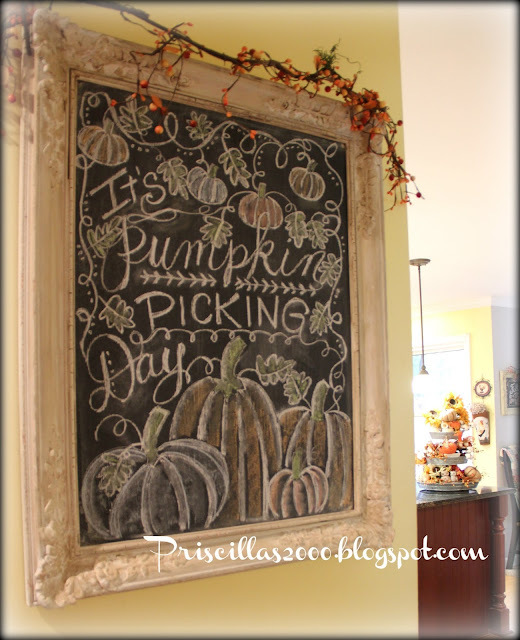 You are so talented Priscilla! 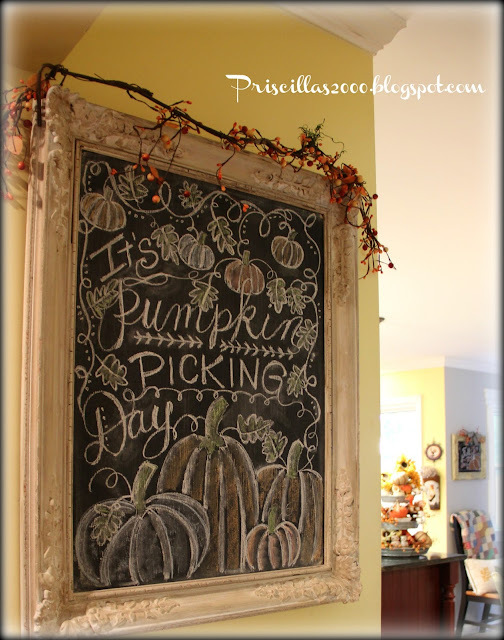 That is such a cute chalkboard - love it! Hopefully, the rain will clear up and you'll be able to pick your pumpkins later. 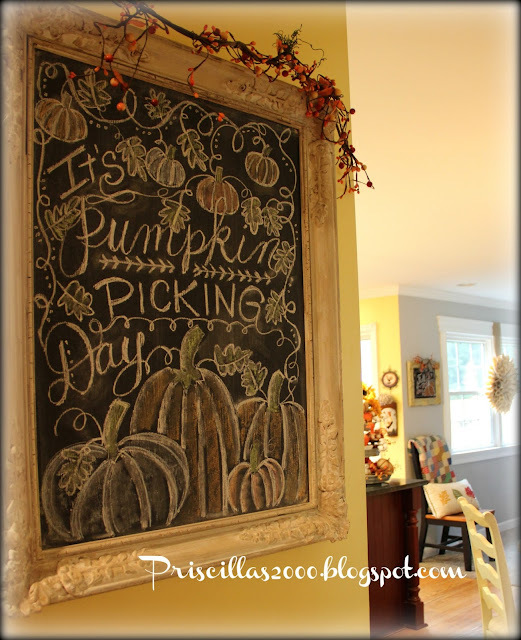 Can't wait to see your outside beds all lined with pumpkins this year. As always, your created a fabulous chalkboard. Very sad indeed, but your cheery Pumpkin chalkboard is adorable! Love the mini Pumpkin garland:). 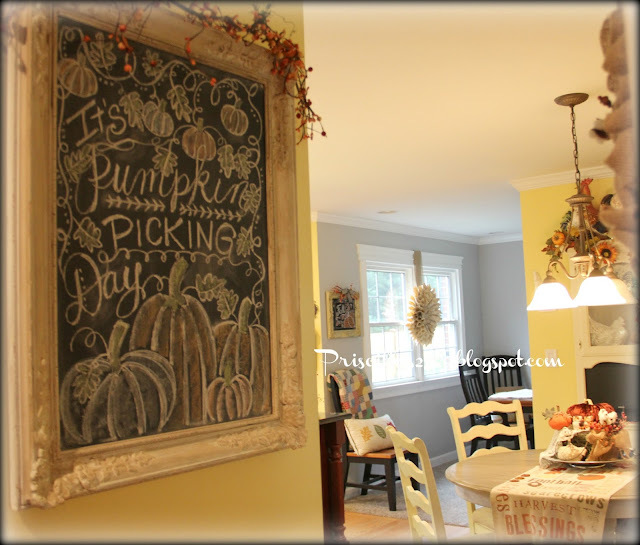 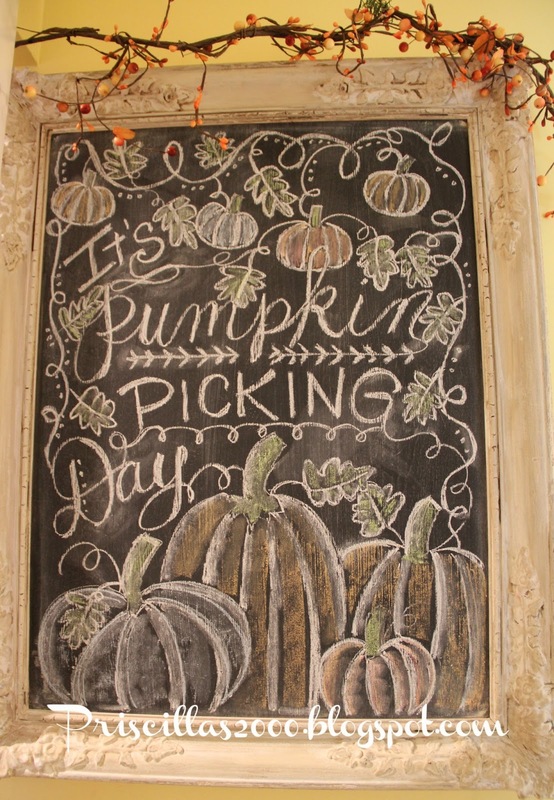 I absolutely love your chalkboard art -- it's the reason I followed your blog to begin with!